16 1/2" tall. 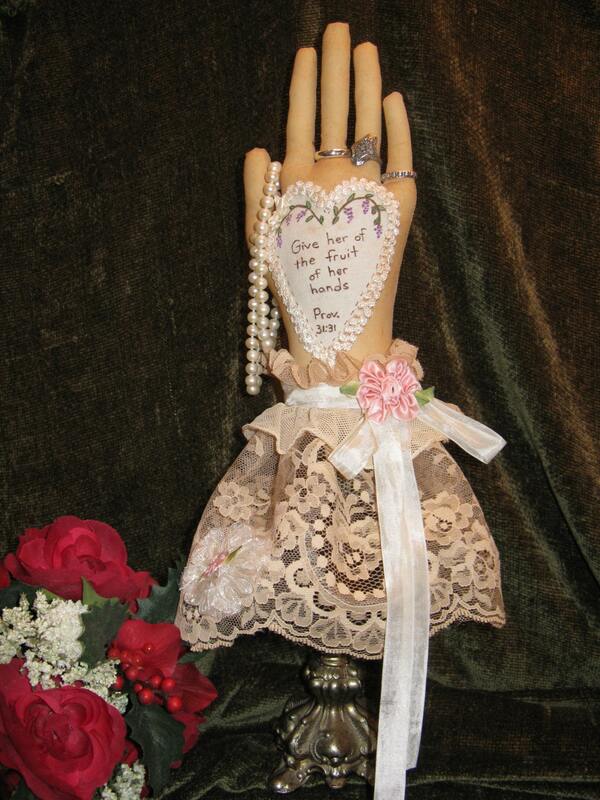 An Elegant free standing Ring & Necklace holder in the form of a lady's hand mounted on a stand. Once adorned with antique lace, silk flowers & ribbons, you will be very proud to display your jewelry. PDF instant download comes complete with easy to follow instructions, pattern and suggested materials list. Stand not included. Love her patterns. Can't wait to use it.